Exhibiting at both the FNB JoburgArtFair 2018, Addis Gezehagn looks to urban scenes for inspiration. 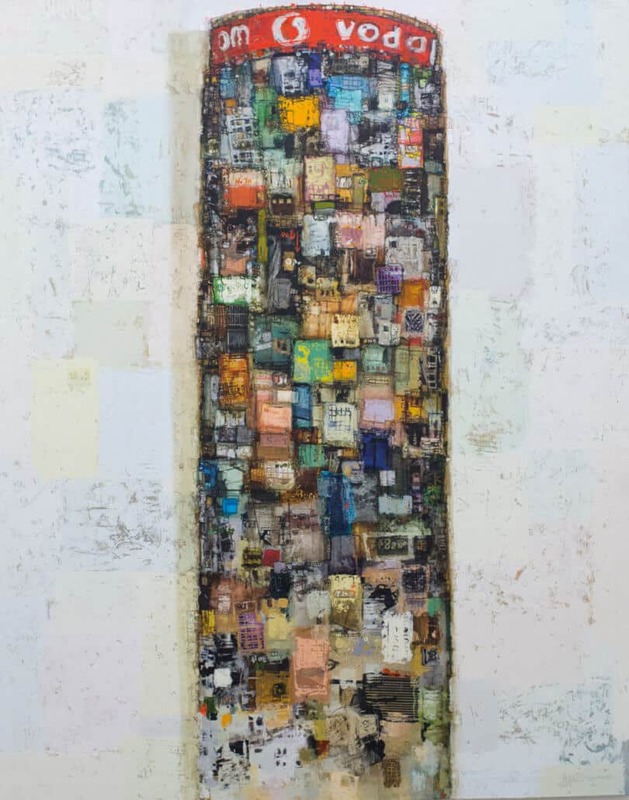 Working with acrylic and paper on canvas to create a patchwork-like image – Gezehagn’s work captures the chaos, charisma, artistry and harmony of his birth-country, Ethiopia. Addis Gezehagn, Joburg Floating Tower I, 2017. Acrylic & paper on canvas, 162 x 130cm. ART AFRICA: Could you please tell us more about how you developed the themes that exist in your work? For example – you have presented both private and public spaces in a patchwork, dreamlike deconstruction. There appears to be an emphasis on the socio-economic element of urban life and your images are devoid of human beings as well. Please elaborate on this? Addis Gezehagn: The ‘Floating Cities’ series was created to visually document the lives of residents. There is a communal atmosphere created by these people’s physical proximity. Their lives are tied closely together. The concept of the patchworks hints at the invisible lives of the people when simply glancing at their homes. I see these homes as a pattern – a convergence of overlapping elements into one form. This pattern has become more simplified, erasing identifying details but it still contains symbols of the city’s realities. The visual rhythm of the pattern asks questions about who must have lived there. 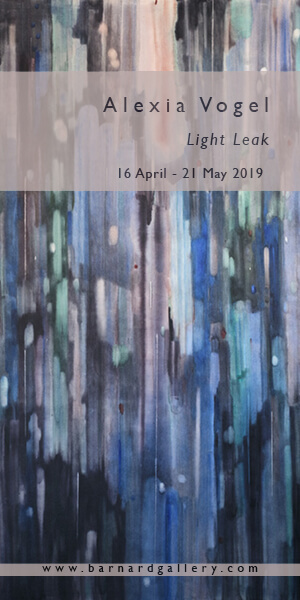 Your work is described in an article by Capital Ethiopia as “a documentation of the increasingly changing landscape of Addis Ababa and the communities that reside in the neighborhood”. Do you visualise an Addis Ababa in your mind that you would like to see realised in the future? I see Addis Ababa as a patchwork quilt, a collection of conflicting and clashing colours, lines and forms built on top of the old city. Still, the resident’s lives are very closely woven together. This combination creates a charismatic, artistic and harmonious feel to these areas. It would be sad to lose this as the city develops with the sprawl of concrete towers that may be functional and geometric, but lack artistry. They are empty and lifeless, their rhythm predictable. The original print of the city must be preserved. I hope the future of Addis is comfortable to the residents – without sacrificing the life, rhythm and colour of the city. Addis Gezehagn, Floating Tower II, 2017. Acrylic & paper on canvas, 130 x 100cm. What role do you see yourself as an artist playing in the future of Ethiopia’s development? My role is to continue painting. I’m documenting the state of art and Addis Ababa for future generations. I’ve represented the current reality in a manner that is not immediately apparent to the viewer. Your focus has also been directed outside of Ethiopia, please tell us more about the work Joburg Floating Tower I, 2017. Here you have deconstructed the Vodocom tower in a patchwork style – like many of your other works. Why did you choose this building and how does it resonate with you? 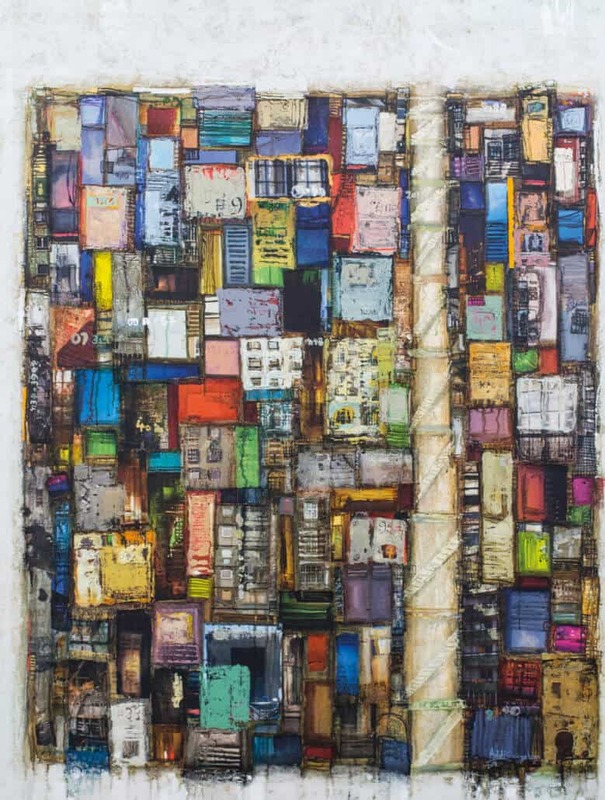 My painting titled Joburg Floating Tower I, 2017 was inspired by the Vodacom Tower in Johannesburg – especially the similarities it has with various areas of Addis Ababa, and the sprawling vertical slums of Piassa. This vertical slum was built by growing economic disparities that led to the segregation of lower class individuals into this building. The life pattern of these individuals in this ‘cornucopia’ of crime and narcotics is similar to the socio-economic injustices present in Ethiopia as well. Addis Gezehagn, Detached Perception II, 2017. Acrylic & paper on canvas, 122 x 122cm. There are a few works you have produced which differ from your most recognised style. 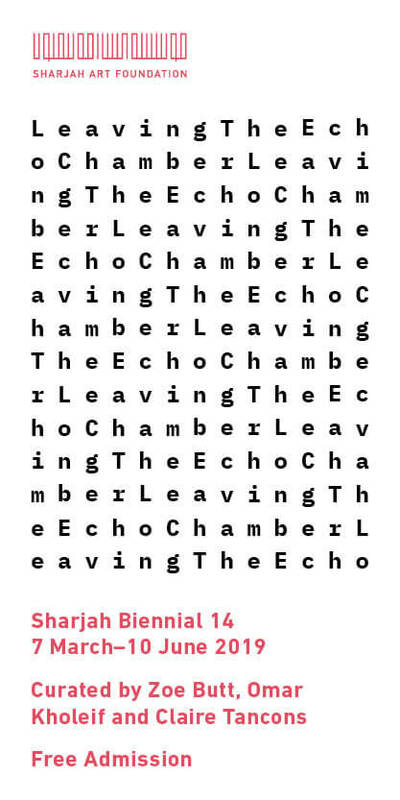 For example Detached Perception III & IV and Untitled I & II. Please tell us more about these works – and why you chose to stray from your preferred, or more common, medium of creation? Detached Perceptions III & IV and Untitled I & II don’t differ from the other pieces. Just as Floating Towers are elements of Floating Cities, Detached Perceptions are also fragments of Floating Towers. They are of the same family in line and colour and only differ in form. I’ve selected a subsection of the tower to represent in a simplified manner, stripped of much of the characteristic detail. 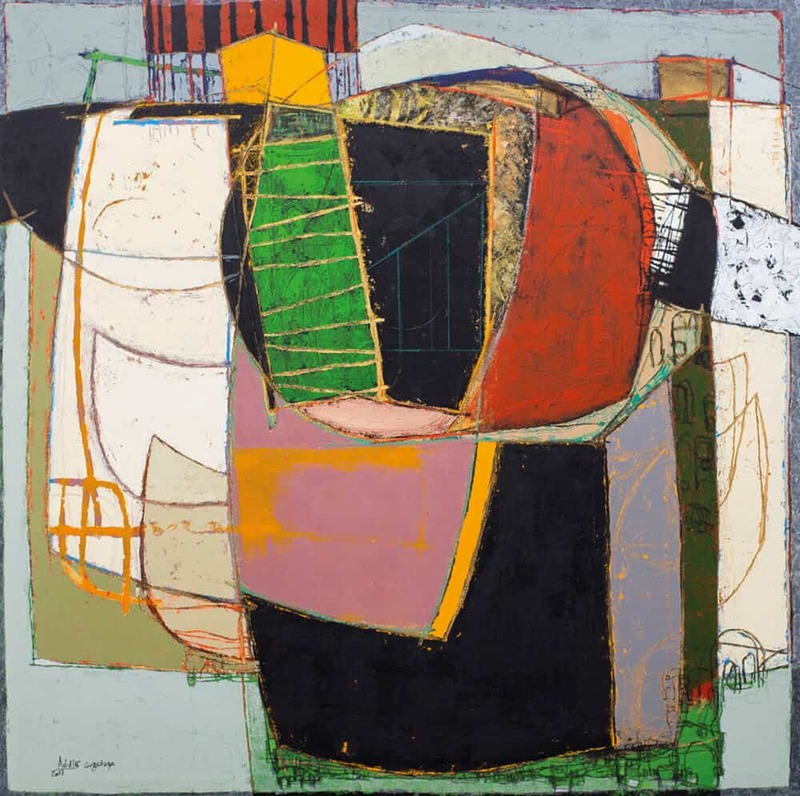 The seeds represented in Untitled I & II are semi abstract extractions from a larger image.